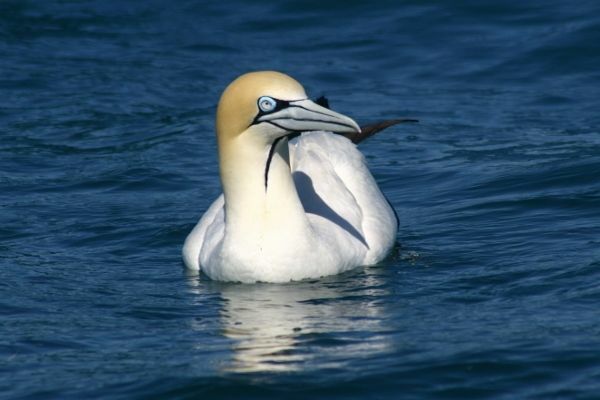 The Cape Gannet is a large seabird of the gannet family, ranging from Southern Namibia to the East coast of South Africa. Although the current population size is suggested to be at least 340,000, these birds are listed as vulnerable on the IUCN Red List. Competition with the fisheries led to an 85-98% decline in numbers seen at the three Namibian colonies over the past 50 years. 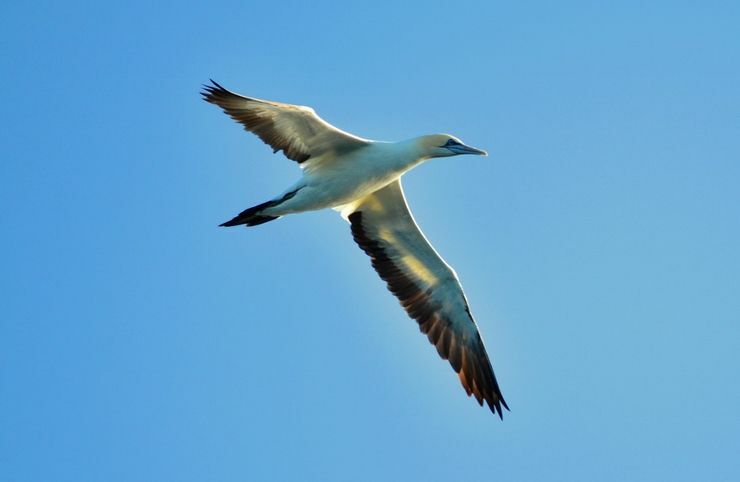 Cape gannets are also under threat from oil spills, seal attacks, pollutants, guano scraping, and drowning in long-line fisheries. 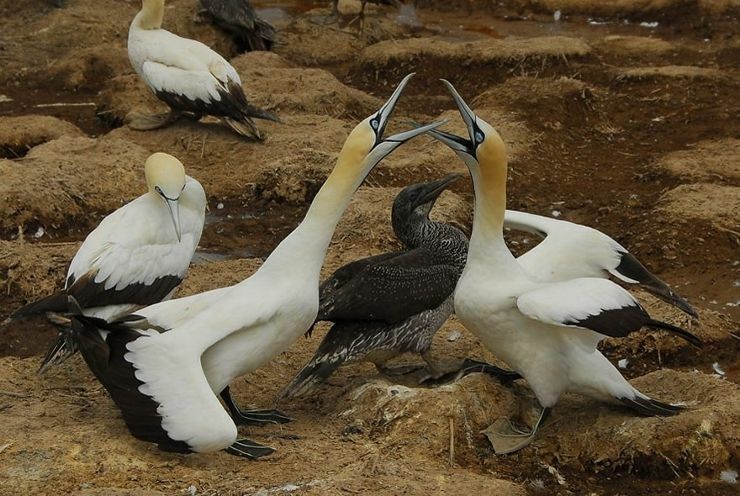 The six breeding colonies are now under protection from different organisations which have implemented conservation strategies to improve the Cape gannet population. 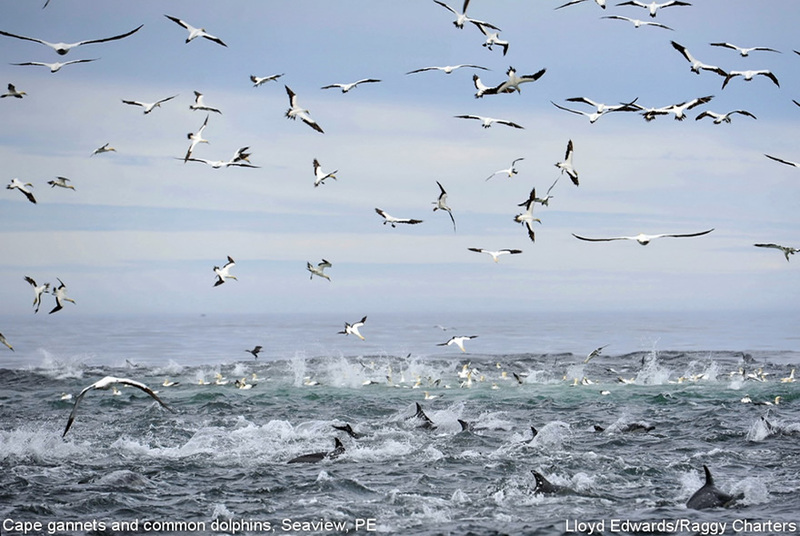 With their large size, black and white plumage, and distinctive yellow crown these birds are easy to identify at sea. They also have a pale blue bill and and striking blue rings around their eyes making them quite a beautiful bird to witness. Their wingspan ranges from 68-73 inches, and they can weigh up to 2.6kg. They are often seen quite far out to sea as they breed on secluded islands nearby. 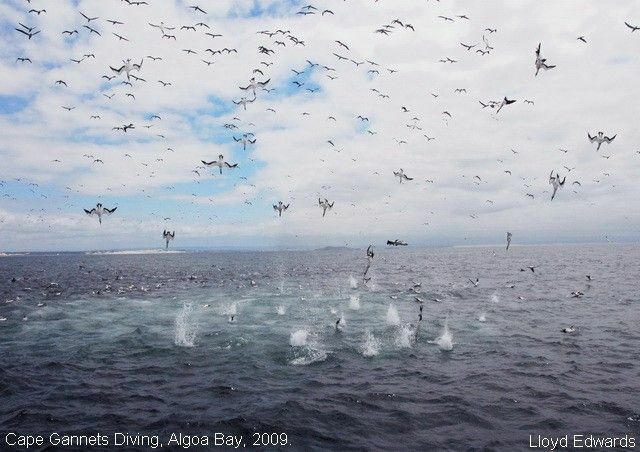 These birds have unique feeding strategies as they have evolved adaptations allowing them to dive from a 30 metre height, reaching speeds of 100km/h as they plunge in to the water and easily capture surprised fish near the surface. 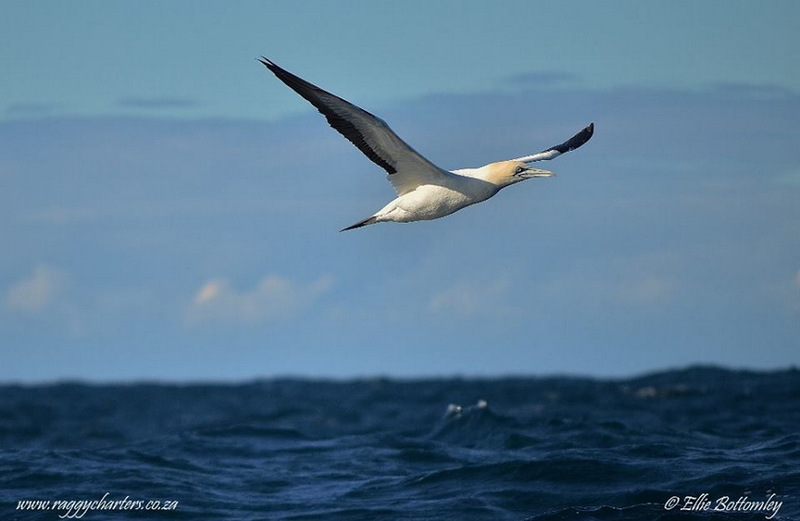 Gannets can hit the water at such speed due to air sacs in their face and chest which act like an airbag, cushioning the impact with the water. Their eyes are positioned quite far forward giving them binocular vision, which allows them to judge distances accurately. They also have no external nostrils, so during a deep dive water will not be forced in. 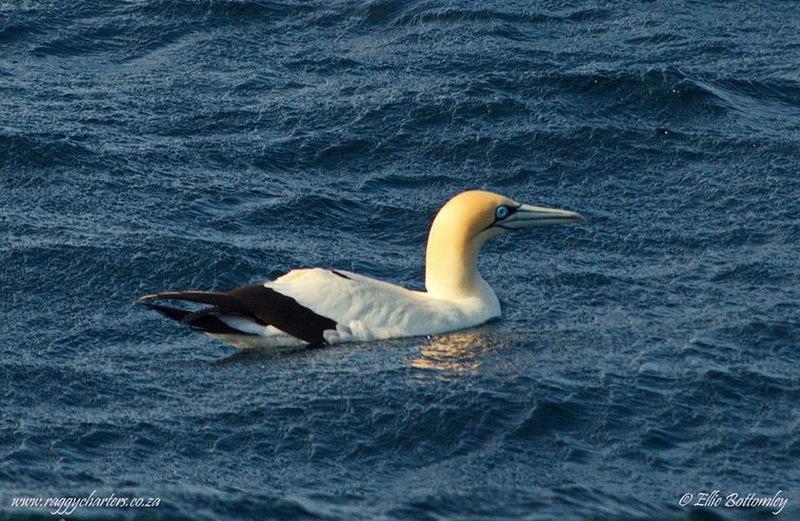 Cape gannets feed on anchovies, sardines and saury, and are often a good indication of baitball activity at the surface. 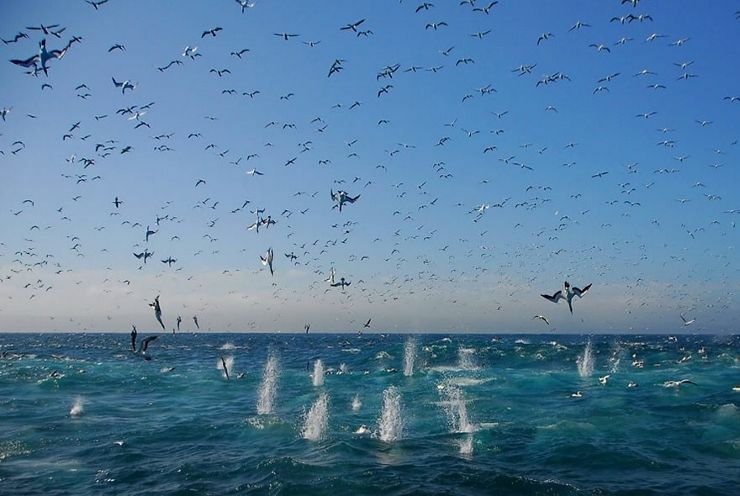 Click here for more information on baitballs and the sardine run. They often gorge themselves so much on these baitfish that they have difficulty taking off from the water. Both males and females reach sexual maturity at 3-4 years of age, after returning to their breeding colony. It is here where the male will perform a ritualized display to entice a female, and once a pair bond is formed it usually lasts a lifetime. 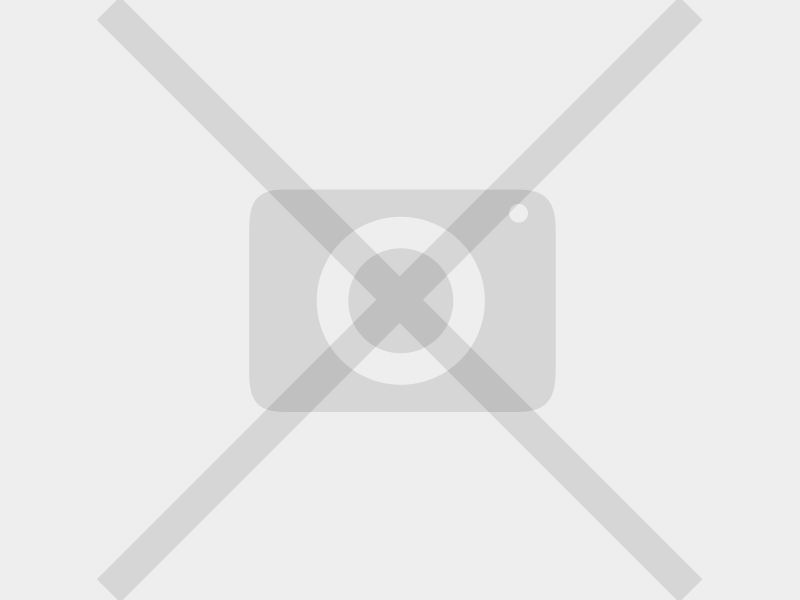 Breeding occurs between September and April, with one egg being laid which is then incubated for up to 46 days. This is done by both parents, using their warm webbed feet. The hatchling is black, naked, blind, and weighs 70g, but after eight weeks of feeding will outweigh the adults. Chicks become fully fledged at 95-105 days and have dark brown plumage which gradually becomes white as they mature. 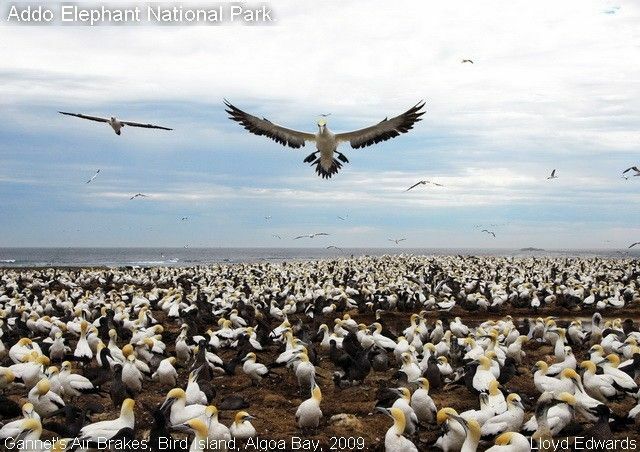 Cape gannets have been recorded to live as long as 40 years.